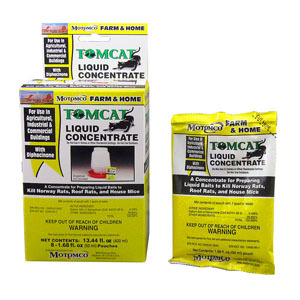 Tomcat Liquid Concentrate is a concentrate for preparing liquid bait for killing Norway rats, roof rats, and house mice. 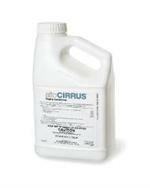 It is a multi-feed bait that is prepared by mixing with water. Available in an 8 or 50 pack box of 1.7oz pouches of concentrate. To be used in an area inaccessible to children and pets.